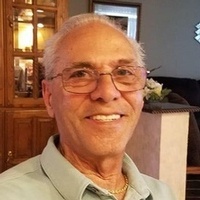 Philip Pirri Jr, 74, of Jackson NJ, passed away on Tuesday July 24, 2018 surrounded by his family. Philip served in the U.S. Navy during the Vietnam War on the USS Wasp and the USS Intrepid. Philip was also on the job with the NYPD as a detective and Undercover Narcotics Officer. He later moved to NJ where he started his small business ventures. He owned Critics Choice Video Store in Jackson NJ and owned and operated Chariot Limousine for the past 13 years. Philip loved spending time with his family and friends. Mostly, he loved his cruises with his beloved wife. He is predeceased by his parents, Philip Pirri Sr. and Carmela Pirri. He is survived by his wife Rachel, Daughter Lisa Boan and Son in Law Robert Boan, son in law Tony Alfano son Philip Pirri III, his grandchildren Kyle Alfano and his wife Katherine Alfano, Auston Alfano, Seanna Boan, Ava Pirri, Sean Pirri, and his two Great grandchildren Anthony Richard and Charleigh Rose. Friends and Family are invited to pay their respects and remember Philip. A celebration of life with Military Honors will be held on Tuesday July 31, 2018 at 10:30am at Brigadier General Doyle Memorial Cemetery 350 Province Line Rd. Wrightstown NJ 08562. 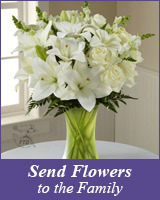 Any flowers or condolences should be sent to the families address as the service location can not accept them. Services are entrusted to Jersey Shore Cremation Service, 36 Broad Street, Manasquan, NJ.